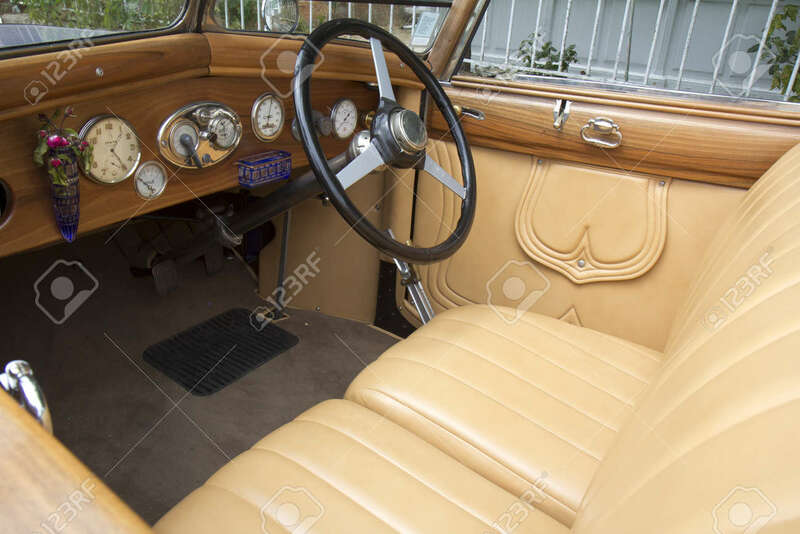 SOULAC SUR MER, FRANCE - JUNE 5: Close-up Of A Classic Car Interior.. Stock Photo, Picture And Royalty Free Image. Image 9754534. Stock Photo - SOULAC SUR MER, FRANCE - JUNE 5: close-up of a classic car interior at the Soulac 1900 festival june 5, 2011, in Soulac sur mer, France. Every year all the resort relives his Belle Epoque 1900 . SOULAC SUR MER, FRANCE - JUNE 5: close-up of a classic car interior at the Soulac 1900 festival june 5, 2011, in Soulac sur mer, France. Every year all the resort relives his Belle Epoque 1900 .